Urban Agglomeration (UA): An urban agglomeration is a continuous urban spread constituting a town and its adjoining outgrowths (OGs), or two or more physically contiguous towns together with or without outgrowths of such towns. An Urban Agglomeration must consist of at least a statutory town and its total population (i.e. all the constituents put together) should not be less than 20,000 as per the 2001 Census. In varying local conditions, there were similar other combinations which have been treated as urban agglomerations satisfying the basic condition of contiguity. Examples: Greater Mumbai UA, Delhi UA, etc. Out Growths (OG): An Out Growth (OG) is a viable unit such as a village or a hamlet or an enumeration block made up of such village or hamlet and clearly identifiable in terms of its boundaries and location. Some of the examples are railway colony, university campus, port area, military camps, etc., which have come up near a statutory town outside its statutory limits but within the revenue limits of a village or villages contiguous to the town. While determining the outgrowth of a town, it has been ensured that it possesses the urban features in terms of infrastructure and amenities such as pucca roads, electricity, taps, drainage system for disposal of waste water etc. educational institutions, post offices, medical facilities, banks etc. and physically contiguous with the core town of the UA. Examples: Central Railway Colony (OG), Triveni Nagar (N.E.C.S.W.) (OG), etc. At the central level, nodal agencies which look after program and policies for urban development are Ministry of housing and urban poverty alleviation (MoHUPA) and Ministry of Urban development. Urban development is a state subject. At state level there are respective ministries, but according to 74th Constitutional Amendment act,1992, it is mandatory for every state to form ULBs and devolve power, conduct regular election, etc. Under 12 schedule of Indian constitution , 18 such functions have been defined which are to be performed by ULBs and for that states should support the ULBs through finances and decentralization of power, for more autonomy. But this is not uniform throughout all the states and still more is need to be done to empower ULBs in India. Urban areas are managed by urban local bodies(ULBs), who look after the service delivery and grievance redressal of citizens. There are eight type of urban local government in India- municipal corporation municipality, notified area committee, town area committee, cantonment board, township, port trust and special purpose agencies. After independence, urbanization in India is increasing at very high pace, but at the same time there are some problems, which are becoming barriers for balance, equitable and inclusive development. 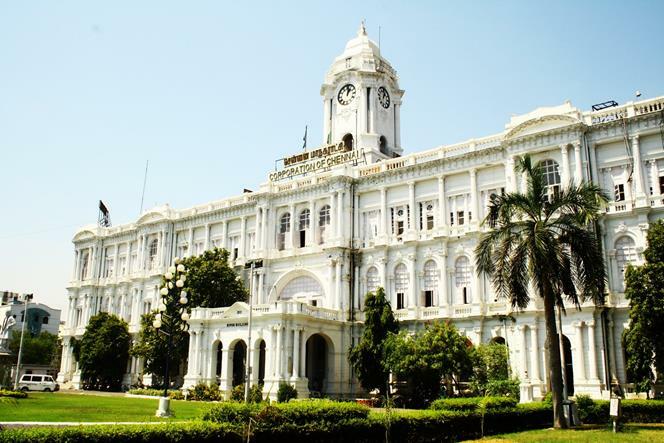 In 1687- 88, the first municipal corporation in India was set up at Madras. In 1726, Municipal Corporation were set up in Bombay and Calcutta. In 1882,a resolution was passed and according to which, panchayat were to be formed at village level, district boards, taluq boards and municipalities also came into existence. At that time Lord Ripon was Viceroy of India, and for this Lord Ripon is known as father of local self-government in India. First two plan focused on institution and organization building and same was instructed to the states to do. For ex. Delhi development Authority, Town and country planning organization came during this period. Third plan (1961-66) was turning point in urban planning history, as it emphasized on importance of towns and cities in balanced regional development. So, it advised urban planning to adopt regional approach. It also emphasized the need for urban land regulation, checking of urban land prices, preparation of master plan, etc. Forth plan (1969-74), continued with the theme of third plan and development plans for 72 urban areas were undertaken. Regional studies in respect of metropolitan regions around Delhi, Mumbai and Calcutta were initiated. During fifth plan, urban land ceiling act was passed in 1976. It also advised the state governments to create metropolitan planning regions to take care of the growing areas outside administrative city limits. Mumbai metropolitan region development authority (MMRDA) in 1974 and Housing and urban development cooperation in 1975 were established. It also emphasized the urban and industrial decentralization. The sixth five year (1978-83) plan stressed the need to develop small and medium sized towns (less than 1 lakh), and a scheme of Integrated development of Small and Medium towns(IDSMT) was launched in 1979 by central government. During the seventh plan, some important institutional developments were done, which shaped the urban development policy and planning. The National commission on urbanization submitted its report in 1988 and 65th constitutional amendment was introduced in Lok Sabha in 1989, this was first attempt to give urban local bodies a constitutional status with three tier federal structure. But it was not passed and was finally passed in 1992 as 74th constitutional amendment act and came into force in 1993. 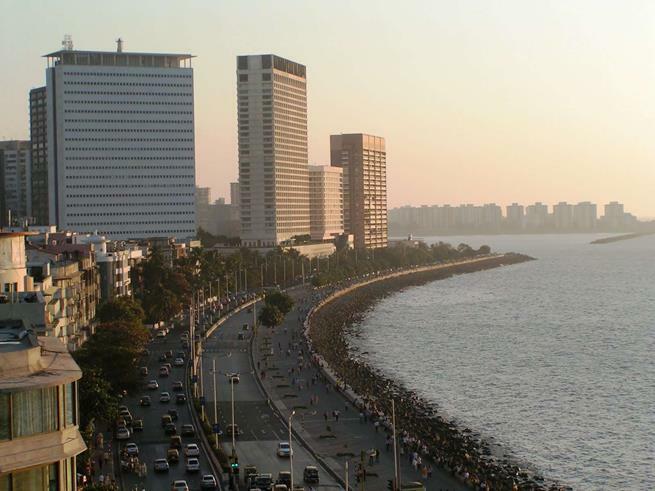 During Eighth plan, the Mega city scheme was introduced in 1993-94 covering five mega cities of Mumbai, Calcutta, Chennai, Bangalore and Hyderabad. Also IDSMT scheme was revamped through it infrastructural development programs for boosting employment generation for diverting migration from big cities to the small and medium towns. The ninth plan, continued with the schemes of the eighth plan and also emphasized on decentralization and financial autonomy of urban local bodies. A new program called Swarna jayanti Shahari Rozgar yojna (SJSRY) in 1997 with two sub plan– 1. Urban self-employment program and 2. Urban wage employment programme, i.e. targeting for urban poverty reduction and employment. 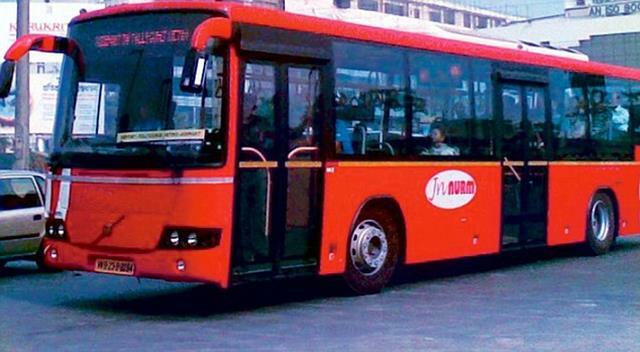 It was decided by central government to revamp SJSRY in 2013 as National urban Livelihood Mission (NULM). The Tenth plan(2002-07) recognized the fact that urbanization played a key role in accelerating the economic growth in 1980s and 1990s as a result of the economic liberalization and also stressed that without strengthening the urban local bodies, the goal of urbanization cannot be achieved. The eleventh plan (2007-2012) introduced some innovative changes through capacity building, increasing the efficiency and productivity of the cities, dismantling the monopoly of public sector over urban infrastructure, using technology as a tool for rapid urbanization. In this direction major initiative launched by central government was JNNURM(Jawaharlal Nehru National Urban renewal mission) in 2005 for focused and integrated development of the urban infrastructure and services, initially for 63 cities. This program was to be continued till 2012, but it has been extended, covering more number of cities. Focus of JNNURM was on provisions for urban poor, including housing, water supply and sanitation, urban transport, road network, and the development of inner/old city areas, etc. The earlier programs, as mentioned above like Mega city, IDSMT, etc. were merged with it. Rajiv Awas Yojana, was launched in 2011 for creating “slum free India” as a pilot project for two years. But now it has been extended till 2022. It is applicable to all slums in the city whether notified or non-notified. It is also applicable to urban homeless and pavement dwellers. The 2011 Census was the first one that collected data on people living in slums that have become commonplace in a rapidly urbanizing India. It found that around one out of every six households in urban India (17.4%) is in a slum, and that well over one-third of all slum households in the country (38%) are in cities with a population in excess of a million. 74th amendment act has been implemented half-heartedly by the states, which has not fully empowered the Urban local bodies (ULBs). ULBs comprise of municipal corporations, municipalities and nagar panchayats, which are to be supported by state governments to manage the urban development. For this , ULBs need clear delegation of functions, financial resources and autonomy. At present urban governance needs improvement for urban development, which can be done by enhancing technology, administrative and managerial capacity of ULBs. Planning is mainly centralized and till now the state planning boards and commissions have not come out with any specific planning strategies an depend on Planning commission for it. This is expected to change in present government, as planning commission has been abolished and now focus is on empowering the states and strengthening the federal structure. In fact for big cities the plans have become outdated and do not reflect the concern of urban local dwellers, this needs to be take care by Metropolitan planning committee as per provisions of 74th amendment act. Now the planning needs to be decentralized and participatory to accommodate the needs of the urban dwellers. Also there is lack of human resource for undertaking planning on full scale. State planning departments and national planning institutions lack qualified planning professional. Need is to expand the scope of planners from physical to integrated planning- Land use, infrastructure, environmental sustainability, social inclusion, risk reduction, economic productivity and financial diversity. Major challenge is of revenue generation with the ULBs. This problem can be analyzed form two perspectives. First, the states have not given enough autonomy to ULBs to generate revenues and Second in some case the ULBs have failed to utilize even those tax and fee powers that they have been vested with. There are two sources of municipal revenue i.e. municipal own revenue and assigned revenue. Municipal own revenue are generated by municipal own revenue through taxes and fee levied by them. Assigned revenues are those which are assigned to local governments by higher tier of government. There is growing trend of declining ratio of own revenue. There is poor collection property taxes. Use of geographical information system to map all the properties in a city can have a huge impact on the assessment rate of properties that are not in tax net. There is need to broaden the user charge fee for water supply, sewerage and garbage disposal. Since these are the goods which have a private characteristics and no public spill over, so charging user fee will be feasible and will improve the revenue of ULBs , along with periodic revision. Once the own revenue generating capacity of the cities will improve, they can easily get loans from the banks. At present due to lack of revenue generation capabilities, banks don’t give loan to ULBs for further development. For financing urban projects, Municipal bonds are also famous, which work on the concept of pooled financing. There is exponential increase in the real estate, encroaching the agricultural lands. Also the rates are very high, which are not affordable and other irregularities are also in practice. For this, we need regulator, which can make level playing field and will be instrumental for affordable housing and checking corrupt practices in Real estate sector. Housing provision for the growing urban population will be the biggest challenge before the government. The growing cost of houses comparison to the income of the urban middle class, has made it impossible for majority of lower income groups and are residing in congested accommodation and many of those are devoid of proper ventilation, lighting, water supply, sewage system, etc. For instance in Delhi, the current estimate is of a shortage of 5,00,000 dwelling units the coming decades. The United Nations Centre for Human Settlements (UNCHS) introduced the concept of “Housing Poverty” which includes “Individuals and households who lack safe, secure and healthy shelter, with basic infrastructure such as piped water and adequate provision for sanitation, drainage and the removal of household waste”. The safe drinking water sources are also found to be contaminated because of water in the cities are inadequate and in the future, the expected population cannot be accommodated without a drastic improvement in the availability of water. The expenses on water treatment and reuse will grow manifold. The poor sanitation condition is another gloomy feature in urban areas and particularly in slums and unauthorized colonies of urban areas. The drainage system in many unorganized colonies and slums are either not existing and if existing are in a bad shape and in bits resulting in blockage of waste water. 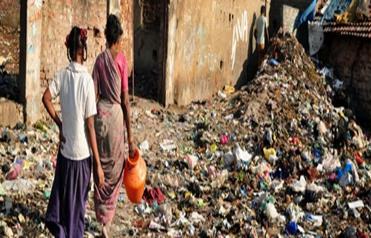 This unsanitary conditions lead to many sanitation related diseases such as diahorrea and malaria. Unsafe garbage disposal is one of the critical problem in urban areas and garbage management always remained a major challenge. The important indicators of human development are education and health. The health condition of urban poor in some areas are even more adverse compared to rural areas. As many as 20 million children in the developing countries are dying consequent to drinking water. About 6, 00,000 persons are losing their lives on account of indoor air pollution (Jagmohan, 2005). The National Family Health Survey, 2006-07 has envisaged that a lot of women and children are suffering from nutritional anaemia and diseases like tuberculosis and asthma are occurring in good number. Providing health care services to the growing urban population is major challenge before the government health care delivery system. They have to take the help of private players as public health facilities are poor. In case of migrants, they cannot take the benefit of government policies, so they have to pay very high charges, which keep them in the vicious cycle of poverty. Urban education system also is becoming elite in private institution due to limited seats and high charged fee. The condition of public educational institution is dismal. Prevention of urban crime is another challenge before the government of States having more number of urban areas and particularly metropolitan cities. The mega cities are facing increased criminal activities on account of unchecked migration, illegal settlements and diverse socio-cultural disparities, organized groups, gangsters, professional criminals for wishing a lavish life in metropolis. The cities of Delhi, Mumbai and Bengaluru have accounted for 16.2 percent, 9.5 percent and 8.1 percent respectively of the total crime reported from 35 mega cities. Prevention of crime in mega cities is a challenge before the city government in India. 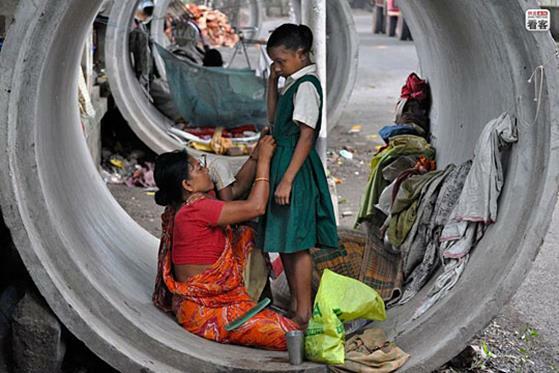 Roughly a third of the urban population today lives below the poverty line. There are glaring disparities between haves and have-nots in urban areas. The most demanding of the urban challenges, unquestionably is the challenge posed by poverty; the challenge of reducing exploitation, relieving misery and creating more human condition for urban poor. There is rise in urban inequality, as per UN habitat report, 2010, urban inequality in India rose from 34 to 38 % based on consumption in period of 1995 to 2005. Providing gainful employment to the growing urban population is a major challenge before the government. It is generally observed that the literate and semi-literate migrants are absorbed with minimal works, carrying lower wage and more hour of work. 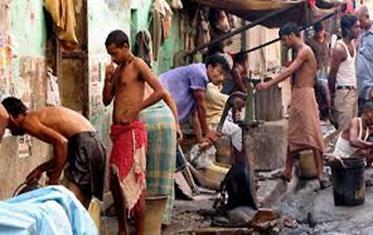 The Un Habitat Report (2003) has rightly remarked “The cities have become a dumping ground for surplus population working in unskilled, unprotected and low wage informal service industries and trade”. provide viable employment to migrating population will be a daunting task in the coming year. came into effect in 1993, emphasizes to strengthen urban planning, regulation of land use, roads and bridges and providing urban amenities. Its main purpose is to provide affordable, comfortable, safe and rapid, reliable and sustainable urban transport system, for the growing number of city resident to jobs, education and recreation and such other needs with in our cities. The primary objective of the JnNURM is to create economically productive, efficient, equitable and responsive cities. The JnNURM consists of two sub-missions Urban Infrastructure and Governance (UIG) and Basic Services for Urban Poor (BSUP). Universalisation of urban services so as to ensure their availability to the urban poor. in Delhi, Kolkata, Bangalore etc. are part of above mentioned initiatives. Recently cabinet has also passes proposal for second phase of Bangalore Metro (Namma Metro). In addition to this government has done many feasibility studies in Tier-II & III cities. Now one million plus cities can go for metro project according to new urban policy. It will be thrown open to the public, eight years after it was first proposed, with the Maharashtra government. 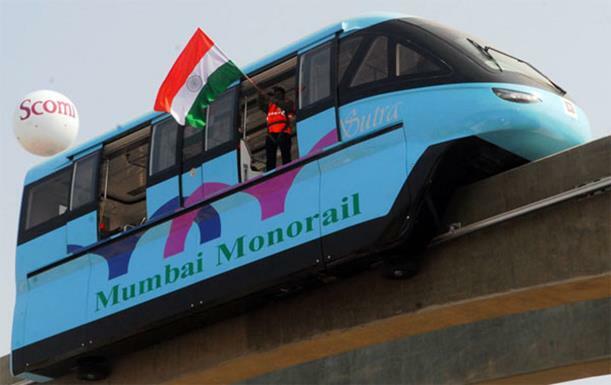 With this, India will join countries like the U.S., Germany, China, Japan, Australia and Malaysia that run monorails. In the budget, 2014, it was projected for ‘one hundred Smart cities’, as satellite towns of larger cities and modernizing the existing mid- sized cities. Though there is no clear definition of smart cities, but it may include creative, cyber, digital, e-governed, entrepreneurial, intelligent, knowledge, harnessing the power of Information and communication technology (ICT). Smartness has to be there with respect to governance and service delivery. Social inclusive and economically diverse. Clean urban areas will attract tourists and can increase the economic diversity of the urban dwellers and it will be also source for revenue generation for ULB. There should be focussed attention to integrated development of infrastructure services in cities covered under the Mission and there should be establishment of linkages between asset-creation and asset-management through a slew of reforms for long-term project sustainability ; Green building concepts should be implemented. Along the lines suggested by the administrative reforms commission over seven years ago, states should undertake “activity mapping” for municipal governments to be clear about which activities are essentially for them to manage, which require them to act as agents for higher tiers of government, and which involve sharing responsibility with other tiers of government. There is no “one size fits all here” – the answer will vary across municipalities. The office of an empowered mayor (instead of the municipal commissioner) must take responsibility for administrative co-ordination internally between municipal departments, and externally with state and central government agencies. Urban planning mechanisms need an overhaul to unify land record keeping, integrate land use with transport planning, and embed municipal plans into district and regional plans. -populist policies and reforms should have their logical conclusion and should be not done in great haste. It is social empowerment scheme, launched by the Government of Kerala in 1998 for wiping out absolute poverty from the State through concerted community action under the leadership of Local Self Governments, Kudumbashree is today one of the largest women-empowering projects in the country. The programme has 41 lakh members and covers more than 50% of the households in Kerala. Built around three critical components, micro credit, entrepreneurship and empowerment, the Kudumbashree initiative has today succeeded in addressing the basic needs of the less privileged women, thus providing them a more dignified life and a better future. Literal meaning of Kudumbashree is prosperity (shree) of family (Kudumbam). State government has started managing information systems.It began with computerization of Fair Prices Shops (FPS) and data related with stocks and sales to enable swift allocation of grains. Mobile based applications including SMS alerts for interested beneficiaries were offered which improved the access to information about food grains lifted from godowns and their delivery at ration shops. In Raipur, individuals are given the choice of the fair price shop of his/her liking, flexibility of buying in smaller quantities rather than in only on transaction, etc. Portability of ration card across the shops helped to improve customer satisfaction. Waste management is the concern for any urban city with respect to its safe disposal, recycling of waste products and also generating energy from wastes. Timarpur Okhla Municipal Solid Waste Management project is the first commercial waste-to-energy facility in India that aims to convert one-third of the Delhi garbage into the much-needed electricity, enough to serving 6 lakh homes. It has become the first to get carbon credits from United Nations Framework Convention on Climate Change in the country in 2013. It is one of the world-class metro. To ensure reliability and safety in train operations, it is equipped with the most modern communication and train control system. For its energy efficient practises, it has earned carbon credit points from UN. Community Policing for Students, adopting Student Police Cadet model of Kerala which is a school-based youth development initiative that trains high school students by inculcating in them respect for law, discipline, civic sense, empathy for vulnerable sections of society and resistance to social evils. The Kerala model, which is meant for all government, government-aided and private unaided schools, imparts training to students through various camps and classroom activities involving local police personnel who interact with them at regular intervals with instructions on certain dos and don’ts. The concept of the community policing is aimed at associating citizens with the local police in solving neighbourhood problems in enforcing laws, preventing and detecting crimes, restoring order and peace in the area and reducing crimes against women and weaker sections. Locating and reporting to the police about strangers and other persons of doubtful character, assisting local police in patrolling at night in crime prone areas, ensuring timely flow of crime related intelligence from the community to the police and ensuring communal harmony through collective efforts particularly during festivals, religious processions and public functions are some of the key functions of ‘community policing’. Urbanization has undermined old forms of political mobilization based on caste and religious identities and favors local issues to be resolved on right based approach. Urbanisation has its impact on all aspects of day-to-day life. Family structure has also been influenced by urbanisation. In the rural society the concept of family living is different from that in the urban society. In the urban society usually the families are nuclear, a very small percentage of households’ have joint families, whereas in rural society most of the households have joint families. This change in family structure is a direct result of urbanisation. In urban areas, especially in the metropolitan cities, people of extremely divergent cultures live together. This has a positive impact. People come to know about each other’s culture and they exchange their ideas, breaking the barriers which earlier used to exist between them. This results in cultural hybridisation. “The answer to cleaning air and water lies in reforming our regulatory framework.” Comment. In your opinion which urbanisation related issues need to be addressed immediately? and why? Comment. What is a ‘city system’? Explain how and why reforming municipal bodies is crucial to reforming city systems. Basic details- City systems refer to the laws, policies, institutions and institutional processes, and accountability mechanisms, that pervade the functioning of municipal corporations and which determine the quality of life of citizens. City systems are, therefore, root causes. It basically aims to provide quality of life to city dwellers by ensuring accessibility and availability of physical infrastructure like transports systems, roads, sewerage systems, garbage handling systems etc. and social infrastructure like provision of safety, security and freedom from pollution etc. The city system depends directly on the concept of democratic decentralization which was ensured first as Directive Principle of State Policy and later though 73rd and 74th amendments of our constitution by assigning constitutional status to the the Gram Panchayats and Municipalities. Critically examine the major issues and challenges that India faces as her urbanisation proceeds. Discuss the emerging problems being face by megacities around the world. Hardly 10 per cent of sewage generated in the country is treated to recycle water. Critically examine the reasons and offer solutions to address this problem. In the context of growth of Indian cities, critically analyse the process of urbanisation and its effect on water availability. Critically comment on the ‘smart city’ concept. Examine why southern states of India are more urbanised that their counterparts in the rest of India. With an example, critically examine the flaws associated with urban planning in India. What suggestions would you give to overcome these flaws? Explain.